She is thoughtful and vivacious. She believes that nothing else than the Life itself is the greatest teacher for a person. She has been a learner, a writer and a poet and has acclaimed a good number of readers from her debut book titled You Step One, He Steps Thousands released in the year 2012. 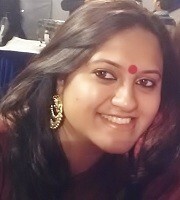 She has also been writing social and cultural issue based based articles at the website; www.proud2bindian.com since 2012. She had graduated in Philosophy (hons.) from one of the finest institutions; Lady Shri Ram College for Women, Delhi, where she had acclaimed many awards and recognition in debating, elocution, creative writing and social working. She is also a post-graduate in Sociology from the Chandigarh University, and presently preparing for her Doctoral Studies. She also has presented few of the musical and personality Development Programs and has been invited as the Guest Speaker at the Yuva-Vani Channel & Women’s Section at the All India Radio, Delhi. She has been a spiritually inclined writer whose words and creative writing are quite enlightening for the readers. Jyotsna has a deep love for acquiring Knowledge in her life she completely believes that Knowledge is the way to Enlightenment. She affirms in the Power of Love and follows the path of love in order to elevate and awaken her conscience. 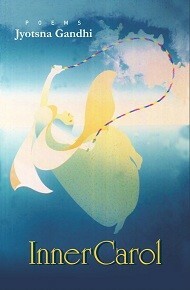 She deeply adores Rumi and this adoration made her see a fascinating side of herself. She felt that a mystical contour of love was brewing within her and was expecting a revelation, and there she chose the medium of poems to let that divine love to emerge. Jyotsna Gandhi is now coming with her second book that would be the first collection of her poems as such, with the title Inner Carol. The poems included in Inner Carol are written in a lucid yet intense language. The poems depict the feelings of a celestial and eternal love between two souls who are like the divine travellers searching and exploring the horizons and the depth of the Pious Love.